BBC Books have sent DWO the cover and details for the hardback edition of the classic series adventure; 'Revelation Of The Daleks' - the first time the story has been released in book form! After the success of the new-era Target novelisations in 2018, which included books by Russell T Davies and Steven Moffat, BBC Books are proud to announce the publication of Resurrection of the Daleks and Revelation of the Daleks, novelisations of two iconic Doctor Who adventures by Eric Saward, one of the show’s longest serving script editors. Written by Saward himself, these novels are the only two classic-era Doctor Who adventures yet to be novelised, and their publication more than three decades after their first TV transmission will fill a long-held gap in fans’ collections the world over. "Beware the hands that heal... The Doctor and Peri land on the planet Necros to visit the funerary home Tranquil Repose – where the dead are interred and the near-dead placed in suspended animation until such time as their conditions can be cured. But the Great Healer of Tranquil Repose is far from benign. Under his command, Daleks guard the catacombs where sickening experiments are conducted on human bodies. The new life he offers the dying comes at a terrible cost – and the Doctor and Peri are being lured into a trap that will change them forever." 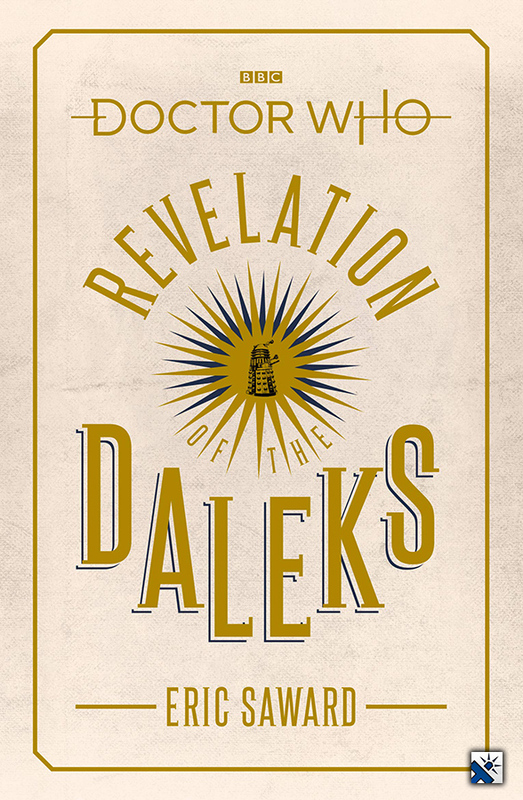 + Revelation Of The Daleks is released on 14th November 2019, priced £12.99 (Hardback). + PREORDER this title on Amazon.co.uk!